Dr. José Baltazar nos hablará acerca de las 7 claves para empoderamiento personal inciando con el Relajamiento y Meditación, La Paz Interna es Paz Externa. Magda García cerrará con prácticas teóricas y corporales para recuperar “MI PODER.” Re-Evoluciona tu Consciencia y Transforma tus pensamientos, palabras y acciones. Para mas información, favor de llamar al #915.355.5286. 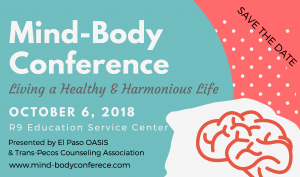 A hands-on, interactive workshop filled with information and acti-vities that help you improve memory, concentration, comprehen-sion, and prevent and manage mental illness (Depression, ADD, ADHD, Parkinson’s, Alzheimer’s). or on-site the day of the workshop. Themes: How the brain works and how it learns. How physical and emotional stress affect brain health and learning. Nutrition and exercise for brain health and intelligence. 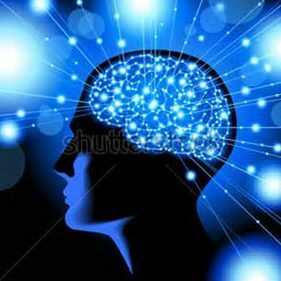 10 brain techniques that make the brain healthier and smarter.